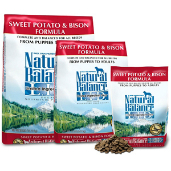 Shop for pet meds and supplies at VetDepot.com. Keeping a collar on your pets--even cats that never go outdoors--can help them be identified if they escape during a disaster. For cats, make sure to use a breakaway collar because they are designed to slip over the cat's head if the collar gets caught on something. On the ID tag make sure to include your phone number and address. Because phones and cell service may not be available during a disaster, having an address on the tag increases your chances of reuniting with your companion animal. If you need a more permanent form of identification, you could consider microchipping your pets. During an evacuation, or if you're living away from home for a long period of time, putting a temporary tag on your pets with an additional current phone number (other than your home number) is a good idea. Possible locations could include: kennels, veterinary clinics, grooming facilities, dog and cat clubs, as well as friends and family members' homes. Preferably, these should be in places not affected by the same disasters that might occur where you live. You can also look for hotels and motels that are pet friendly. Bookstores have books that list pet friendly accommodations. Some places may make exceptions during disasters, so it doesn't hurt to ask. Note that Red Cross evacuation shelters won't allow animals (aside from service dogs). The bottom line is to plan ahead where you're going to take your animals if you need to evacuate. Do not leave them behind, even if you're not sure where to take them. Leaving a pet behind increases the chances that they won't survive the disaster. Find somebody in your neighborhood to be your "buddy" and have them check on your animals during a disaster in case you aren't home. Agree to the same for them. Exchange veterinarian info, and make sure your vet has a "permission slip" that authorizes your buddy to get emergency veterinary care for your pets if you aren't available or can't be reached during a disaster. If you have a pet sitter or somebody who watches your animals when you're on vacation, be sure to talk to them about a disaster plan that they can follow if an emergency happens while you're gone. Make sure that you keep a week's worth of water and food for each pet in your household. Store you dry food in waterproof, airtight containers like Vittles Vaults. If your pets eat canned food like Natural Balance or Wellness, either buy the kind with pull-top lids or keep a can opener with your emergency supplies. Also keeping a supply of your pet's favorite treats on hand can help comfort them during a disaster. You can store water in the original containers, but keep them out of direct sunlight to stop algae from forming. If there is a “boil water” warning, do not give your animals water out of the tap. If you and your family have to drink bottled or boiled water, then your animals should too. Make a list of the phone numbers of your regular vet's office as well as emergency animal clinics in your area. Also know where animal shelters and rescue organizations are in your area. You may need to visit them to look for missing pets. 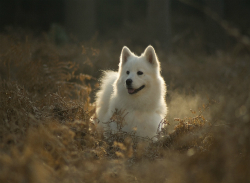 During a disaster, starting the search for a lost pet as soon as possible is advised because shelters may not be able to house animals for long because large numbers of animals may be displaced. If your companion animals are on any medications, it is smart to keep at least a two week supply available along with a list and instructions for each pet. Preferably, store the medications in their original containers. If they need to be refrigerated, keep an ice chest on hand to store them in if they power goes out. Red Cross shelters usually have ice available. "Having a plan and supplies already on hand can help keep your pets safe during a disaster." This includes pet insurance policies, microchip information, medical and vaccination records, adoption papers, and any other important documents. With your paperwork, should keep several pictures (that identify any distinguishing marks) of your animals. Store all your papers in plastic bags to keep them dry in case of heavy rains or flooding. If a disaster strikes your animals may need medical attention. Ask your veterinarian if they have a disaster plan, and if they don't, find one in your local community who does. Knowing where to take an injured animal may mean the difference between life and death. Make sure you have enough carriers, leashes, and harnesses for all your cats and dogs. 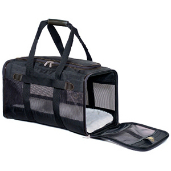 Cats in particular can be evacuated in cat carriers. Use a shoebox-size litter box and have food and water dishes in the carrier. For dogs, harnesses make it less likely for them to slip out of their collars and run away during a stressful evacuation situation. If you have to abandon a car during a disaster, having your dog harnessed and leashed means you will be able to keep them safely controlled while away from your vehicle. Because walls and fences can collapse during an earthquake or other natural disaster, you may need to keep your dog on a cable leash until repairs are done. Make sure that the cables are long enough that your pet can move around, but not so long that they can get tangled around something and choke themselves. You can also buy stake out kits that come with stakes that screw into the ground if you don't have something to attach the cable to. If your dog is kept outdoors, make sure their area is safe from potential falling debris like tree limbs, roof shingles, power lines, chimney bricks, and more. Keep heavy duty wire cutters on hand in case your dog gets trapped inside their run.